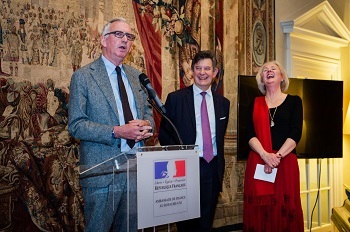 Julian Jackson's history of the French leader beat stiff competition to take the prize, with Antonia Fraser and Dairmond MacCulloch in the running - Fraser was on hand to see his triumph. Published by Allen Lane, the win seals a unique treble for Stuart Proffitt, who has edited the last three winners in a row, and five winning titles in total. The prize was awarded last night at a ceremony held in the lavish surroundings of the French Ambassador's Residence in Kensington Palace Gardens, with the evening hosted by the current ambassador, Jean-Pierre Jouyet. Jackson said it was a "real honour to win the prize - a great honour to be part of the list of winners." He also thanked Proffitt: "I have to say he is a ruthless character - he kept telling me to do things. I thought they were all wrong and they turned out to be all right!" He added that it was highly appropriate that a book about De Gaulle had won a prize dedicated to Duff Cooper (British ambassador in Paris from 1944) as "the only British ambassador that De Gaulle really rated and admired - in as much as could admire any British person - was Duff Cooper." He also said that it was ironic that the prize is sponsored by Pol Roger, the favourite champagne of his great rival Winston Churchill, and that Pol Roger was not De Gaulle's champagne of choice. 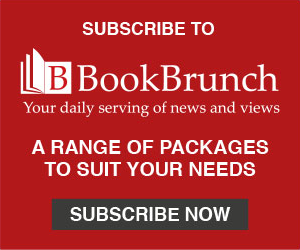 Speaking afterwards to BookBrunch, Jackson revealed that his next book will be a history of post-war France. His is talking to Allen Lane about publication but nothing has been signed yet. In her opening remarks historian Artemis Cooper said: "Prof Jackson writes with elegance and authority, and he is constantly throwing surprises, not the least of which are the General's jokes: De Gaulle once quipped that the English had deliberately installed the Free French in Carlton House Gardens because it was a dead end, the only way out being through Waterloo Place." The award is sponsored by champagne house Pol Roger; Duff Cooper, who was in Churchill's cabinet as well as being the British Ambassador to France, introduced him to the label in 1944 and it became his favourite drink. Pol Roger now produces a Winston Churchill vintage. The prize is administered by Artemis Cooper, who is the grand-daughter of Cooper and wife of leading military historian Sir Antony Beevor. Jackson is professor of History at Queen Mary, University of London. His previous books include France: The Dark Years, 1940-1944, which was shortlisted for the Los Angeles Times History Book Award, and The Fall of France, which won the Wolfson History Prize in 2004. He is a Fellow of the British Academy and Commandeur dans l'Ordre des Palmes Académiques.